Brandstorm Finalists vie for a Ticket to Paris - Hello! Welcome to my blog! L’Oreal Brandstorm in the Philippines goes nationwide for the first time, attracting more than 1,500 students all over the country. 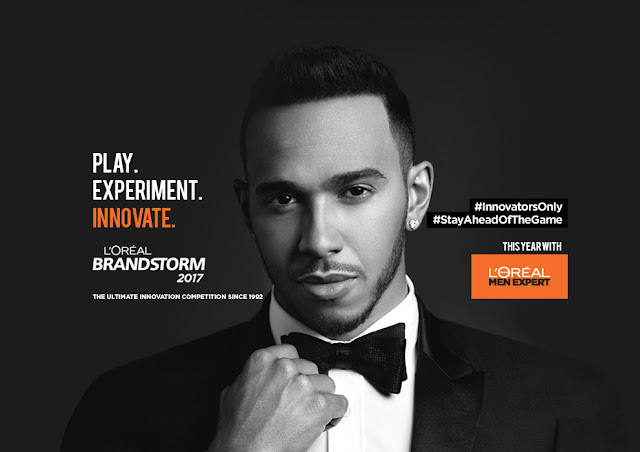 L’Oréal Brandstorm is L'Oréal’s signature global innovation competition for students that started in 1992. Present in over 58 countries, Brandstorm is one of the largest student competitions in the world. Locally, L’Oréal Philippines has mounted the annual business competition since 2009. But more than a talent-spotting tool, Brandstorm is an incubator for innovative projects and young talents—honing them to become one of the best in the marketing field and bringing their ideas to life. This 2017, L’Oréal Brandstorm embraces diversity by going nationwide. From the usual pool of three schools all centered in Metro Manila, Brandstorm 2017 is now open to three times more schools all over the country totaling to over 17 partner colleges and universities. This makes the competition open to diverse groups of students, regardless of course, degree or level. This year, registration multiplied by 5 bringing the numbers up to 1,523 registered players, making it the biggest Brandstorm to date. Visit www.brandstorm.loreal.com to get to know more about this year’s biggest innovation competition. L'Oréal, the world leader in cosmetics, is synonymous with beauty, innovation, sustainability and scientific excellence in more than 130 countries. As the number one beauty company in the world, we continue to invest in science and research to guarantee innovative, high-value-added products. To date, L’Oréal has catered to all forms of beauty in the world for over 100 years and has built an unrivalled portfolio of over 38 international, diverse and complementary brands. L’Oréal Philippines has been present in the country as a wholly owned subsidiary of L’Oréal S.A. since 1994. Based on the unique and diverse beauty needs of every Filipino, L’Oreal Philippines manages 12 of the most technologically advanced brands across several beauty categories and present across all beauty channels, including L’Oréal Paris, Maybelline New York, Garnier, Kiehl’s,, Ralph Lauren, Giorgio Armani, Yves Saint Laurent, Guy Laroche, L’Oréal Professionnel, Kérastase, Matrix, and Pureology.